Alexandra, Managing Director at BioPharma Advisory, possesses vast managerial and operational experience in the international pharmaceutical and biotechnology industry. 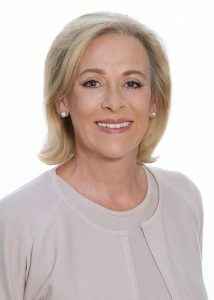 Previously, Alexandra served as a General Partner and Senior Advisor at TVM Capital GmbH. She has been responsible for more than 20 TVM Capital Life Science investments internationally. Alexandra started her professional career with Hoffmann-La Roche, i.e. as Global Business Leader for HIV and CMV, being responsible for strategic marketing and business development for Virology. Alexandra was elected into the top 40 of most successful private equity females by Private Equity News.